The racial skills of the Breton, Redguard, and Orc races - collectively known as the Daggerfall Covenant - have been discovered! We have completed a fantastic skill database containing all known skills and their effects. It contains up-to-date information in an easy format, so please use it! Earlier today, ElderSouls.com member ESO_Leaks (special thanks!) posted a tentative version of the racial skills for both the Aldmeri Dominion and the Daggerfall Covenant. The usual reservations about changes between the ESO beta and the game's final release apply, but it's safe to say that we now have a good idea of the direction Zenimax is taking each of the races. Dragon Skin – Damage shielded is absorbed as magicka during this period. Light Armor Affinity – (Self) Increase XP gain with the light armor skill line by 15%. Gift of Magnus – (Self) Increase maximum magicka by 10%. Spell Resistance – (Self) Increase spell resistance by 50. Magicka Mastery – (Self) Reduce the cost of spells by 3. Berserker Rage – Increase damage done by 20% and reduce damage taken by 10%. 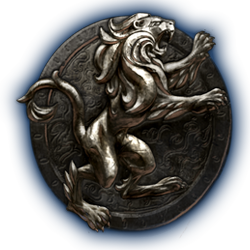 Heavy Armor Expertise – Gain XP with the heavy armor skill 15% faster. Brawny – (Self) Increase maximum health and stamina by 5%. Robust – (Self) Increase health regeneration while in combat by 7%. Power Charge – Increase power by 20% for 15 seconds. Shield Affinity – Increase XP gain with the one hand and shield skill line by 15%. Conditioning – Increase maximum stamina by 10%. Adrenaline Rush – (Self) Damage an enemy with a melee attack that restores 34 stamina. This can happen no more then once every 3 seconds. Hey, thanks so much for the update on the likely racial passives and traits! Have been waiting eagerly for all of them to surface!A quick question though just to clarify: I noticed the Robust passive for orcs give a 7% increase to health regen but other racial passives seem to give a raw 7 as an increase - I was just wondering whether this meant the others got a raw +7 extra stamina every second and that the orcs are meant to only get a percentage increase instead and not a typo? Thanks! I'm proud of you. Of all of you. Seriously though, I like my Khajiit passives. Edit: Wrong topic.... *facepalm* Orcs are looking pretty strong though. I'm such a derp. My Bretons are all melee, my Redguard is heals. YEEEES! I was hoping orcs would get the tanky stats! Totally awesome! Thanks for sharing this! Hey, just noticed a discrepancy between these, the Aldemeri Dominion passives and the "Comprehensive document" of all the known skills.Here "Gift of Magnus" is listed as providing +10% max magicka, where as in the skill document it is listed as giving +7 in-combat magicka regen. Anyone know which is correct? Its probably just a mistake. But is Orcs ultimate (Berserker Rage) a passive, since there is no time on it as there is on redguards power Charge = 15 sec. And do anybody know if you have to use your ultimate hotbar slot for the racial ultimate to use it ? I reckon it will be anywhere between a 3 and 15 second duration (my guess would be around 8s because of how good it is). I chose those estimates because Dragonskin (Breton Ult) is 3s and Highborn/Hitskin/Ancestral Guardian/Guardian Animal Thing are all 15s. Eye of Fear is 5s but it's a fear and +5% dmg from all sources. The Nord racial is unknown duration ATM as well...but I reckon that it is also around 8 seconds. Of course...idk, because those regeneration ultimates are pretty badass as well... +100 Health Regen @ lvl 1 for 15s?? = 15s of invincibility if you're not getting 1-shot.. but I doubt it scales too well. ATM I'm planning an altmer sorc. Using Highborn and then spamming Bolt Escape = awesome sounding. Good answer. Sounds pretty accurate with the 8 sec. maybe 10 sec. Since Redguards is only 20% power but works for 15 sec. And the orc ult has a extra bonus then only damage increase. And you cant start with a ult ofc, so cant do the OP 100 health regen in level 1 since you need to increase your racial skill though the passives first. Yeah, I keep hearing both that you can and can't have 2 ults. I reckon that it'll only be 1. If the regen scales (or gets affected by spell power maybe?) then it should still be good though, even if it is best at lower levels. I feel like the Khajiit ult is really weak.. at least the guardian ones for Wood/Dark Elf is really good sounding for PVE. My guess is that fears aren't breakable unless dispelled.